Here’s a fun fact for you: According to the most recent Colorado agricultural statistics bulletin from the United States Department of Agriculture in conjunction with the Colorado Department of Agriculture, there are around 33,800 farms operating in the state of Colorado. That number helps contribute to an estimated $7.7 billion in economic impact, according to the National Agricultural Statistics Service. About 81 percent of those farms are individually (or family) owned, with around 56 percent of those being livestock and poultry farms, and the other 44 percent being crop farms. About 66.3 million acres are dedicated to farms and ranches across the great state of Colorado. As you can see, when it comes to agricultural development in Colorado, things don’t appear to be slowing down anytime soon. That’s because this is one of the best states to live, work, play, and even farm. If you’re searching for farmland for sale in Colorado, then you’ve certainly come to the right place. AGPROfessionals is the leading agricultural development team in Greeley, and indeed throughout the entire state of Colorado and the surrounding agricultural region. Our licensed agriculture real estate professionals have land available all throughout Colorado, Nebraska, and more. 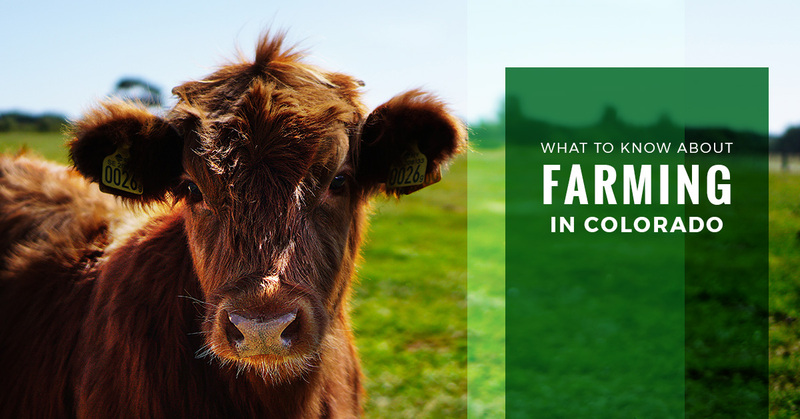 Take a look at some farms for sale in Colorado, and keep reading to learn some more facts to know about farming in the Centennial State. When it comes to farming in Colorado, you may only be thinking of the peaches from Palisade or the cantaloupe from Rocky Ford. But, truth be told, our state produces a wide variety of crops, livestock, and poultry. In fact, as a state on the forefront of brewery innovations, we are ranked fourth in the nation when it comes to barley production — a key ingredient in the nectar of the gods. Additionally, we’re the third leading producer of sheep and lambs, and our winter wheat production tops 100 million bushels each year. The numerous crops and livestock we produce are testaments to the vast landscape we have, as well as the hardworking farmers who call Colorado home. Many people might think that a farmer’s job is over once the winter months roll around. But that couldn’t be further from the truth. In fact, there are farms and ranches throughout Colorado which continue to work and grow throughout the winter. Apples are growing well into November. Potatoes, one of our largest produce items, are grown year ‘round — even in December and January. Tomatoes and winter squash thrive in winter months. Despite cold and harsh winters in some parts of the state, the 300-odd days of sunshine help make Colorado one of the best spots for the cattle ranching and feeding industries. Colorado’s cattle feeds contribute to nearly $4 billion in annual cash receipts, according to Farm Flavor, while our dairy farms produce nearly three billion pounds of milk each year. So are you convinced yet? Owning and operating a farm in Colorado has many advantages. Learn more by contacting the agricultural development team in Greeley, AGPROfessionals, and browse the farmland we have for sale today.